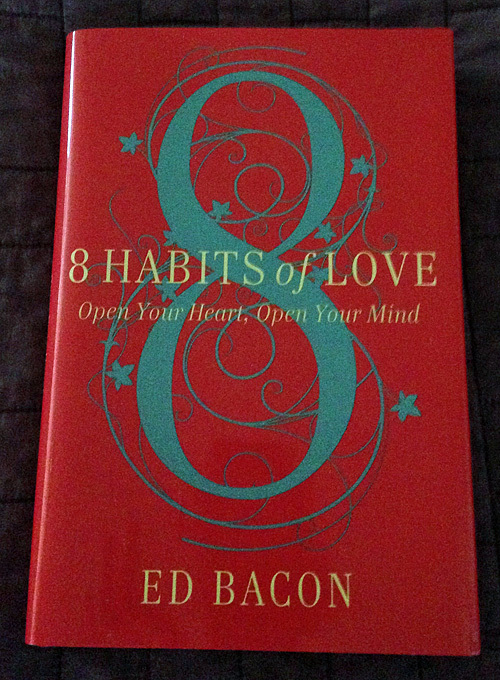 Stillness is a habit of love, according to Ed Bacon (8 Habits of Love). It's showing love to the Divine, simply by showing up and paying attention to God. It's showing love to oneself by being generous with one's time in order to find a calm center. I really struggle with stillness. It's been a part of my Rule of Life as an Associate of OHC (Order of Holy Cross) for about four years now and still I struggle. Even 10 minutes seems an insurmountable amount of time. And I don't get it. It's something I say I want to do and yet I've yet to form the habit. But those are really special occasions. I don't have a river or an ocean at my back door or near enough to my workplace. How do I bring it back with me to ordinary life? The closest thing to a pleasing environment is the altar space that I have at home. 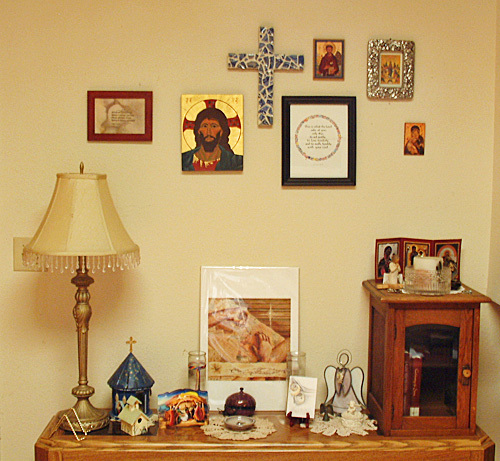 It has two icons that I have written along with smaller icons (prints), crosses and other meaningful images. There are candles and angels, places to hold my prayer beads and Associates cross. There would be incense too but I ran out of that. This Advent, I'm participating in Advent meditations on Facebook with Christianne Squires of Still Forming. There's an audio meditation four days a week, and a written one the other two. If this doesn't make meditation a habit, I'm not sure what will! 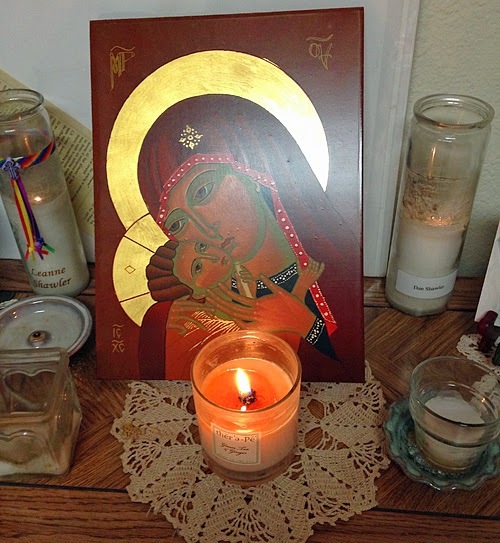 (Advent is under way, but you can start by joining the private Facebook group).